We’re still not getting that lovely fall weather I’ve been wishing for but that doesn’t mean I haven’t been getting into the fall spirit. I may or may not have decorated for fall last week and I’m not even mad about it. When it comes to fashion, I’ve been super googly-eyed over jumpsuits. While I’m finding my way back to my pre-pregnancy body and weight, these are super comfortable and flattering. They hide the parts of my body I’m not ready to hug and show off (ie: belly and legs). 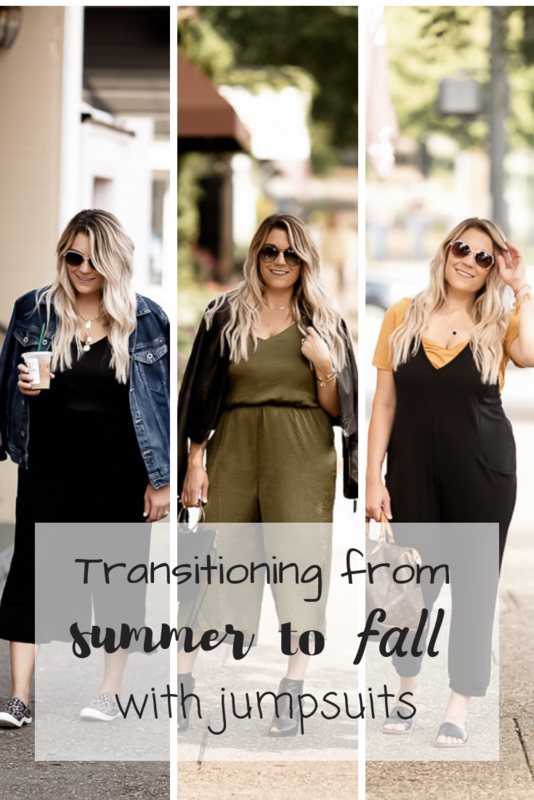 But transitioning from summer to fall with jumpsuits is one of my favorite things to do. Why? Because they’re light enough to endure the remaining days of summer heat. They’re easy to layer with denim, leather, plaid, whatever. Because they feel like pajamas (well some of them, anyways). Since I’m nursing right now and this one isn’t nursing-friendly, I can really only wear it when I’m on one of those 4 hour nursing breaks. Or the rare occasion she goes longer than that but we’re about every 4 hours at this point. I was a little hesitant to try a wide-legged jumpsuit because I’m so short and didn’t know how it would fit me. But when paired with heels, I thought it looked super cute regardless of my height (I’m 5’2” for reference). I also bought it in black and olive because when I find something I like, I usually buy it in every color haha plus it was on clearance so that was a no brainer. 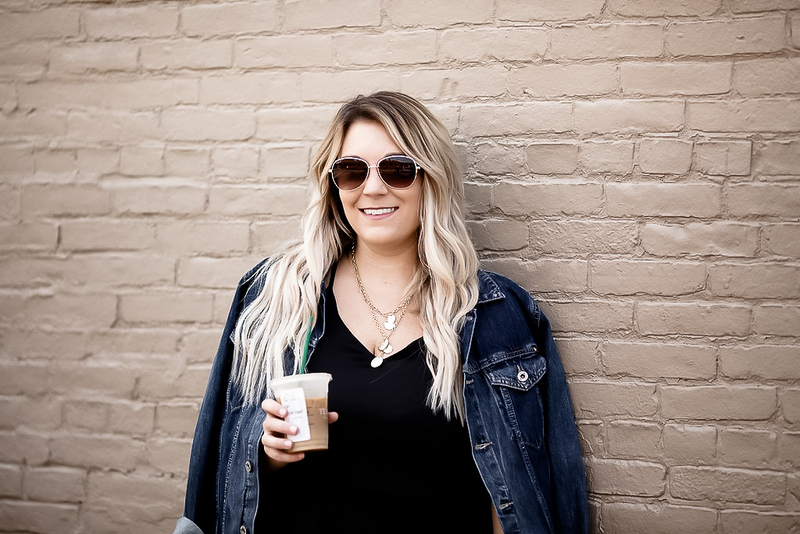 I wore the black jumpsuit above with tennis shoes for a more relaxed look and layered with a jean jacket for the cooler mornings. And then I can remove it when it gets warmer in the afternoon. Since this is the same as the olive jumpsuit, it’s not nursing-friendly. But this black jumpsuit below is a lot more accessible and I am mildly obsessed with it. I think I could wear it everyday because 1) it’s comfortable and feels like pajamas and 2) can be styled so many different ways! A lot of people are intimidated by jumpsuits because they’re worried about how they will fit. And some people are annoyed by the fact that you have to take the entire thing off to go to the bathroom. I get it, it’s annoying. But I love how easy they are to throw on and right now at this point in my postpartum journey, they’re definitely one of the most comfortable things for me. I’ve rounded up some options below so you can give them a try and see how you feel! You can always send them back if you end up not liking them! And you’ll never know until you try, right? 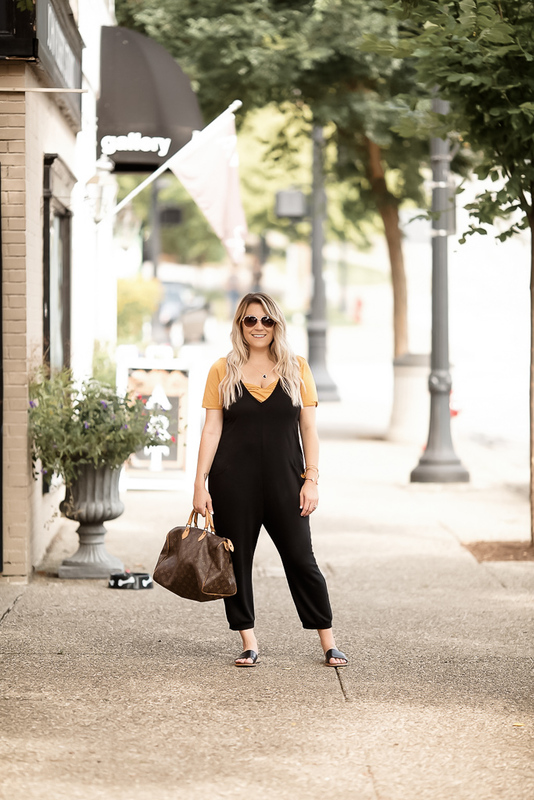 How do you feel about jumpsuits? Yay or nay? I have a cropped floral print romper that I pair with a denim jacket and wear to work, it’s so unexpected and I love it. 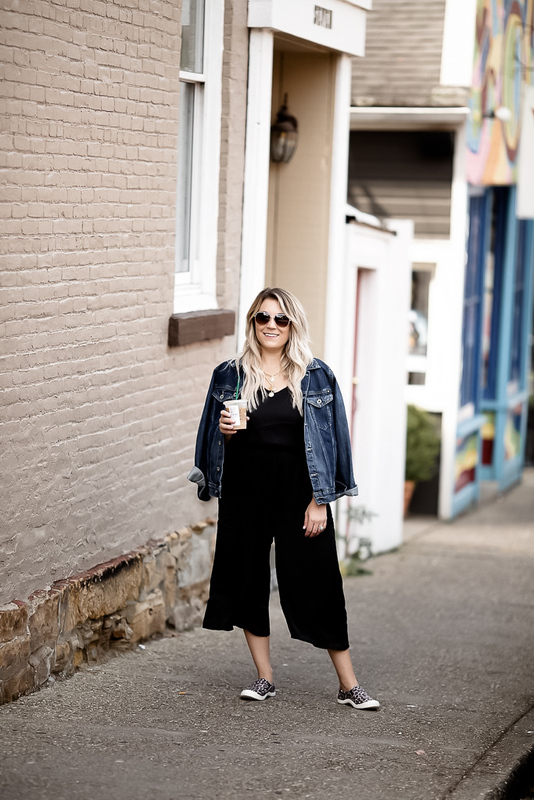 I don’t have a plain black romper though – your post is making me WANT.